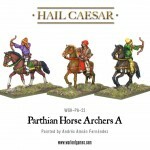 Released today are these fantastic Parthian Horse Archers, skirmishing archers who can literally run rings around the enemy! 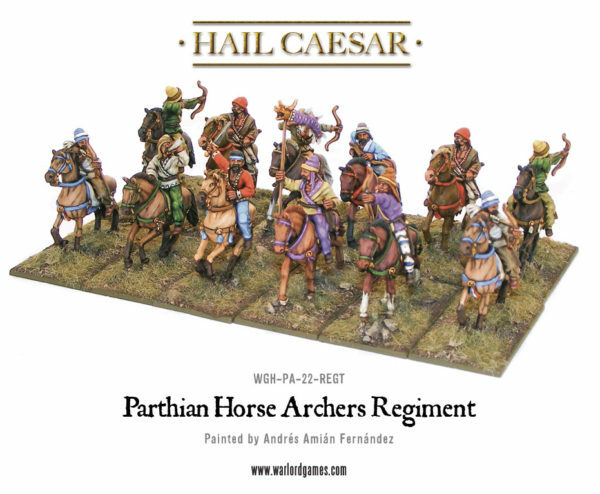 One of the many enemies of the Roman empire, the Parthians were a thorn in the side of the Romans for some time. 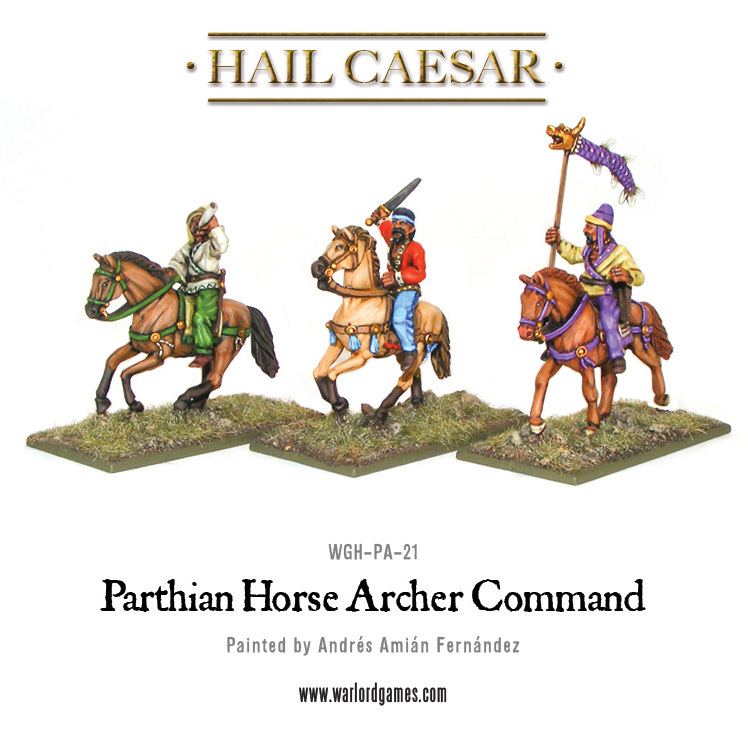 These warriors were exceptionally skilled riders – using both hands for their bows, they directed their mounts, without the aid of stirrups, using the pressure of their feet alone. 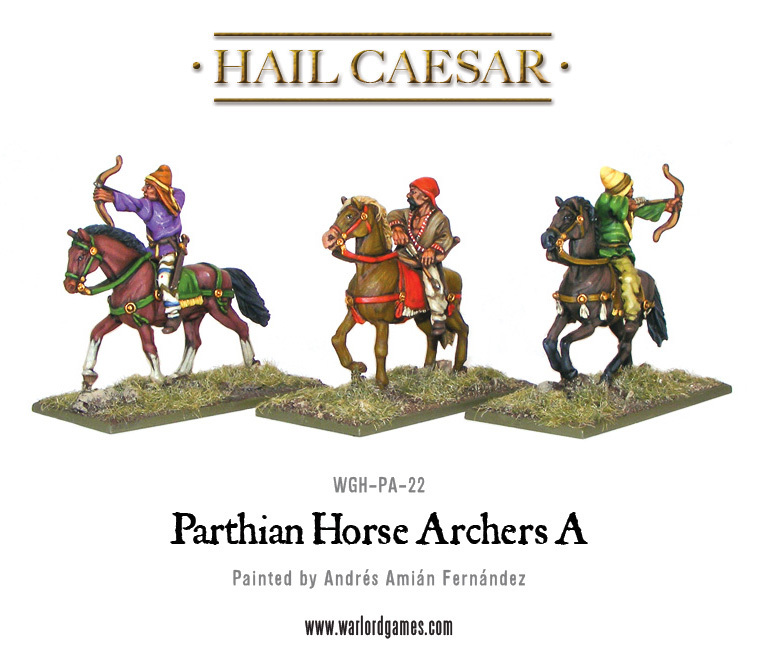 They also perfected the tactic of retreating, or feigning retreat, while turning in the saddle to fire back at their pursuing enemies, an ability that became known as a Parthian Shot. 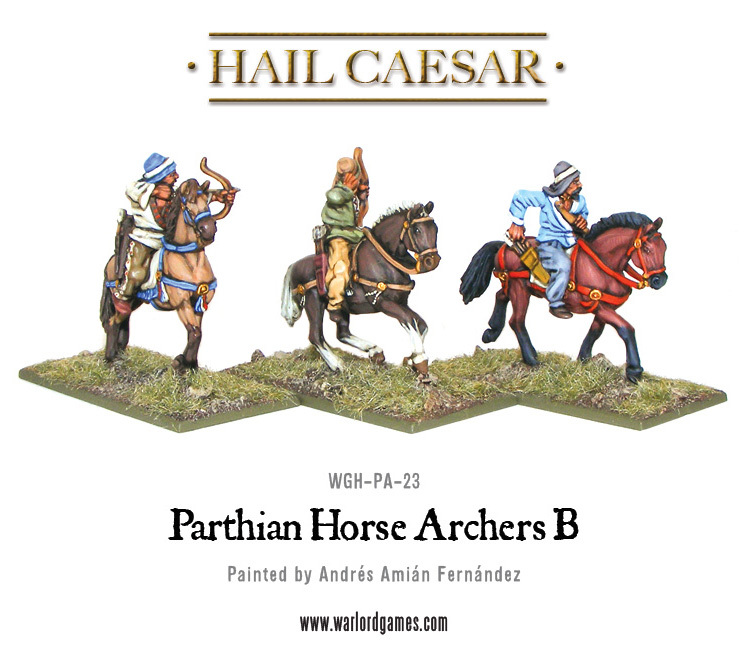 The Parthian’s greatest victory was at the Battle Carrhae in 53BC, when the Roman General Crassus invaded the Persian Empire. 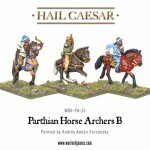 The skirmishing horse archers outflanked the less mobile Romans, keeping up a hail of arrows while staying out of reach of close combat with the heavy infantry. 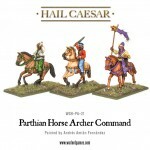 Despite having far greater numbers, the battle became one of Rome’s worst defeats, and a catalyst for the fall of the Roman Republic.